Eight years before the Rana Plaza collapse (24 April 2013), which killed over 1100 people and received huge international media coverage, a somewhat similar tragedy drew my attention: the collapse of the Spectrum Sweater Industries Ltd. factory (10 April 2005), which was responsible for the death of 64 people and led to some international mobilization. This paper describes and analyses the international career of the mobilization for the victims spurred by the tragedy. 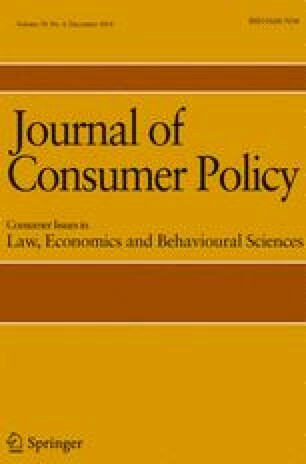 How were European consumers and citizens called upon to act? How did the European brands react? In the end, the question is how the appeal to Western firms’ “Corporate Social Responsibility” (CSR) can help improve the working conditions prevailing in Southern factories. By applying a generic definition of responsibility (the controlled administration of a sanction) and minutely examining the imputations of responsibility consecutive to the Spectrum tragedy, the paper exposes the work of activists who attempted to establish Western companies’ responsibility, and how some of the tagged companies resisted their moral obligation to protect workers beyond an employer–employee relationship stricto sensu. The author wishes to thank Gabrielle Varro for her assistance in the translation of the manuscript.